The International Trade Journal is a refereed interdisciplinary journal published for the enhancement of research in international trade and associate areas of international business and international political economy. Its editorial objective is to provide a forum for the scholarly exchange of research findings in, and significant empirical, conceptual, or theoretical contributions to, theory and policy. 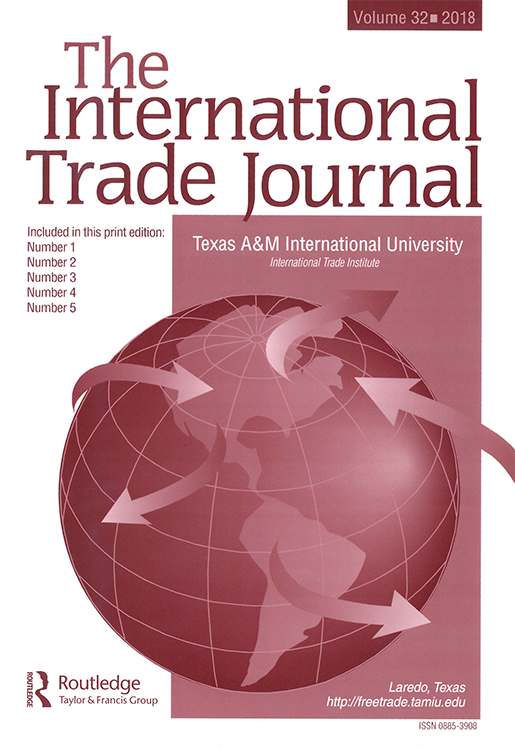 The International Trade Journal is published and distributed by Taylor & Francis and accepts on-line subscriptions. Authors are responsible for views expressed, and accuracy of facts given. Such opinions do not necessarily reflect the position of Texas A&M International University or its Center for the Study of Western Hemispheric Trade, the Editor, or the Editorial Advisory Board of the Journal.